My weekends are so busy due to my children’s schedule and various errands that has to get done weekly. I don’t normally eat a whole breakfast on Saturday’s so this morning I just had a banana and a cup of green tea. Around two o’clock I stopped in at Whole Foods for some lunch. 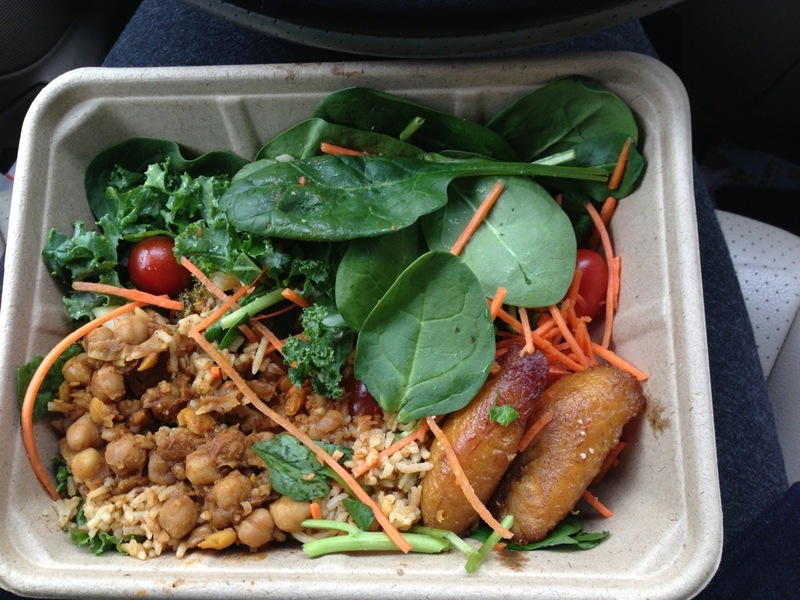 I mixed in a little Indian chip pea curry dish with a cup of brown rice over my salad. 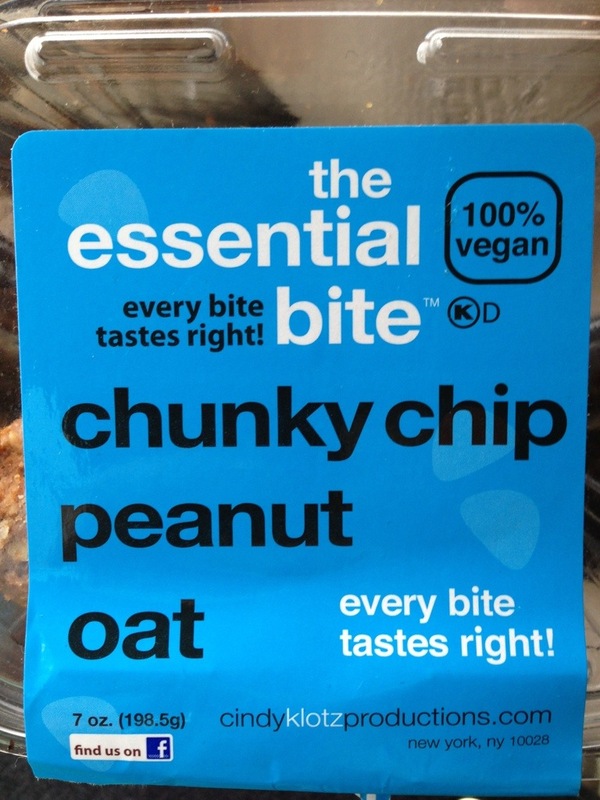 For snack I got this vegan peanut butter and chocolate chip bite size chunks. They were so good.